The Winter Witch in all her glory. 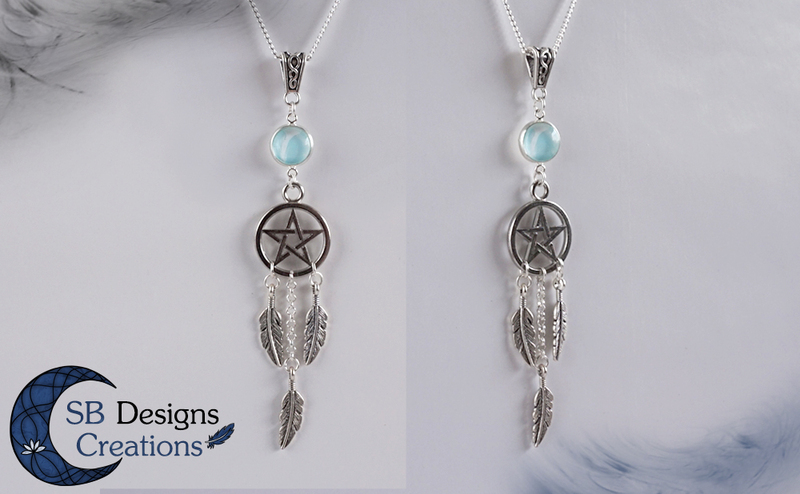 With her Winter Witch character she models the ‘Witches Innocence’ jewelry set. Forever together dragon and knight. 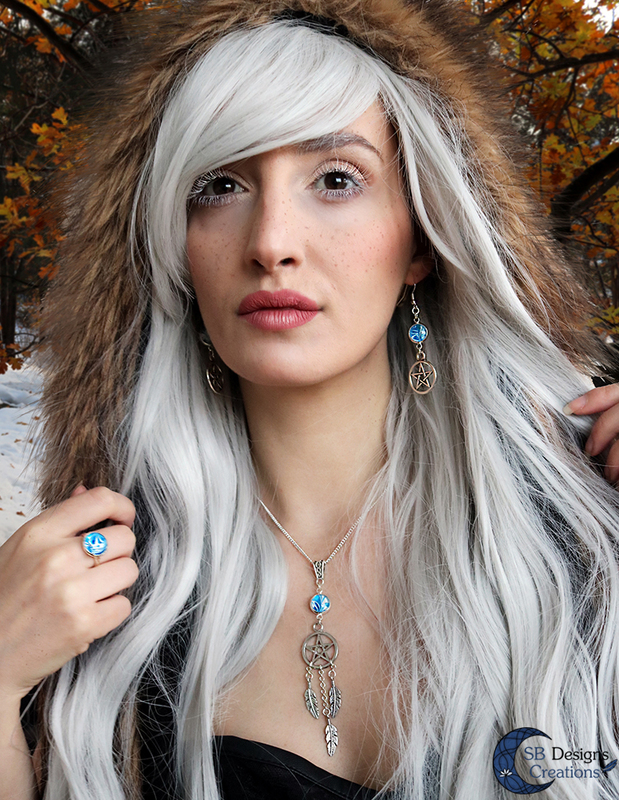 With her Elfish Dragon Rider character she models the ‘Dreams of the Dragon’ jewelry set. 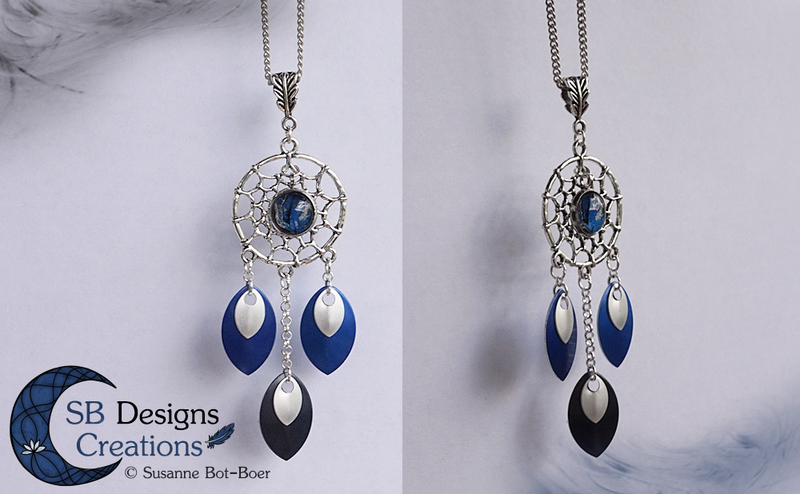 The ‘Dreams of the Dragon’ dreamcatcher necklace has a marbled pendant and is finished with dragon scales. The dragon will protect you when you sleep ^^. This necklace can be made in a variety of colors. This link is to the blue necklace. some are modernized and live with us in our society. 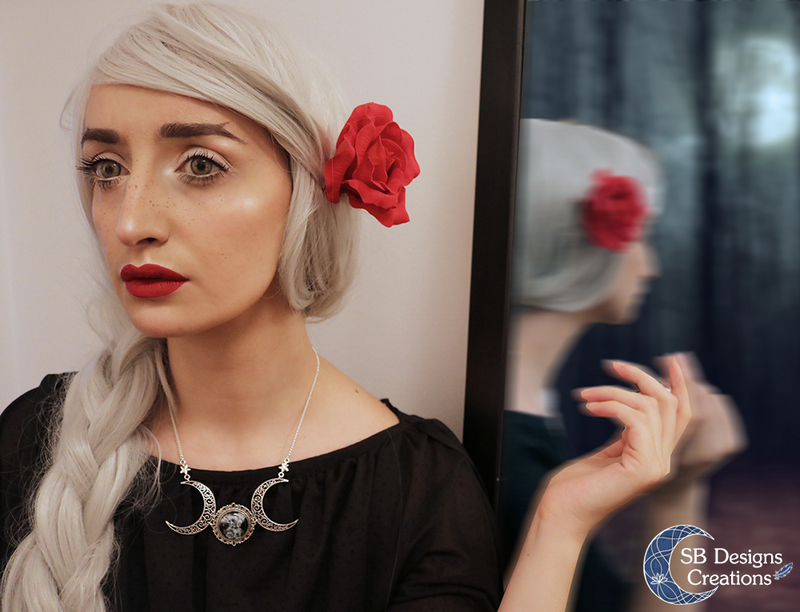 With her ‘Modern Witch’ character she models the ‘Arian’s Grace’ jewelry set. This set is not available in my Etsy shop yet, but you can always send me a message when you are interested. 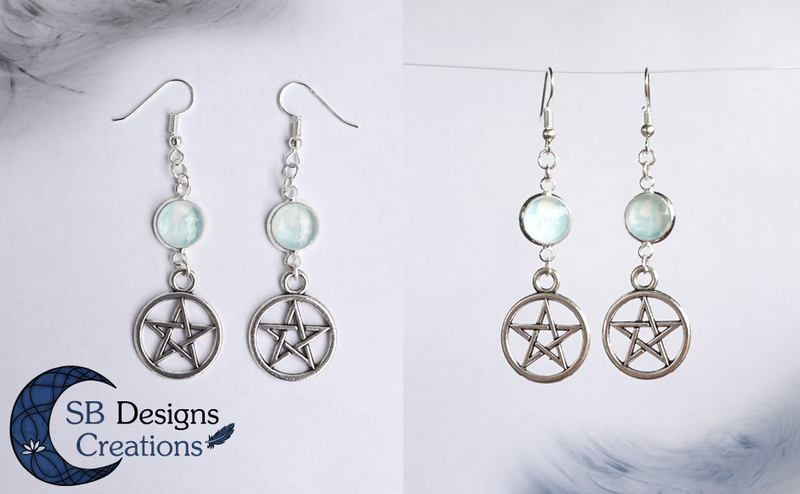 The Arian’s Grace collection also has a horizontal triple moon design. 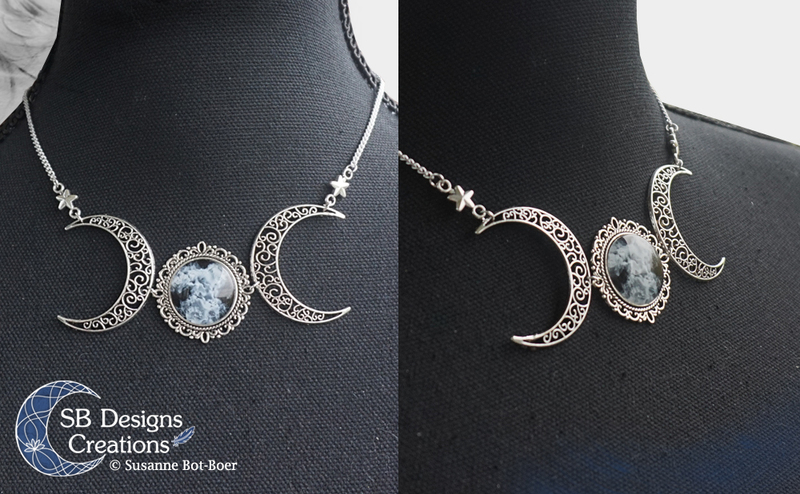 She made two different photo’s with this necklace in two complete different styles. 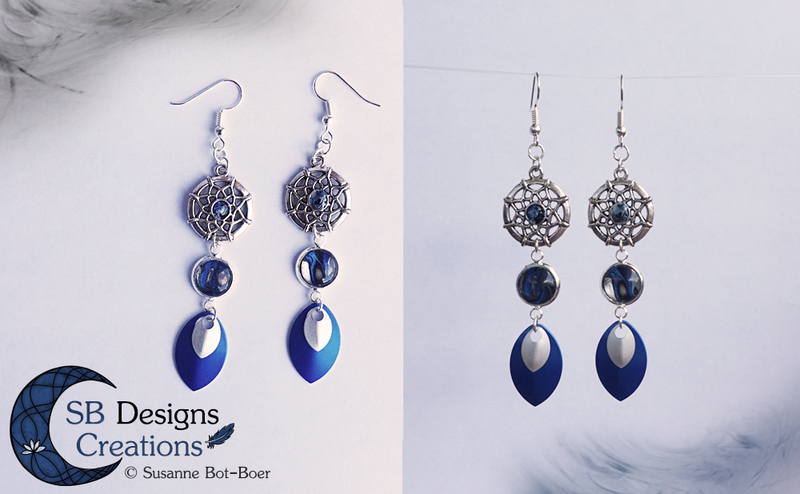 I really like it to see how many different styles suite my jewelry designs. Even when the Moonwitch tries to live in our society, in our city, in our buildings… She can never break her connection to the nature, to the moon. She is always connected, unconditionally. Her reflections don’t lie where she truly belongs. She really surprised me with this picture and with this style. I had never heard of ‘Shironuri’ before, so I Googled it. This is a style I wouldn’t think of on my own, so I truly appreciate collaborations and the ideas of others. Together you can create amazing things! The horizontal ‘Arian Grace’ necklace is available in my Etsy Shop. I really like how this Lookbook turned out :). 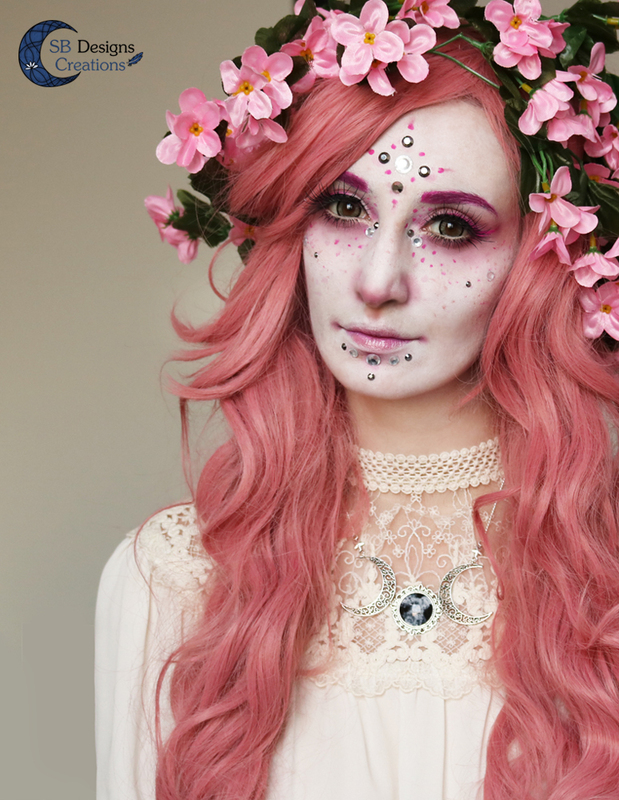 All credits for designing the characters, the make-up, the photography and editing belong to Joy Vegaart. 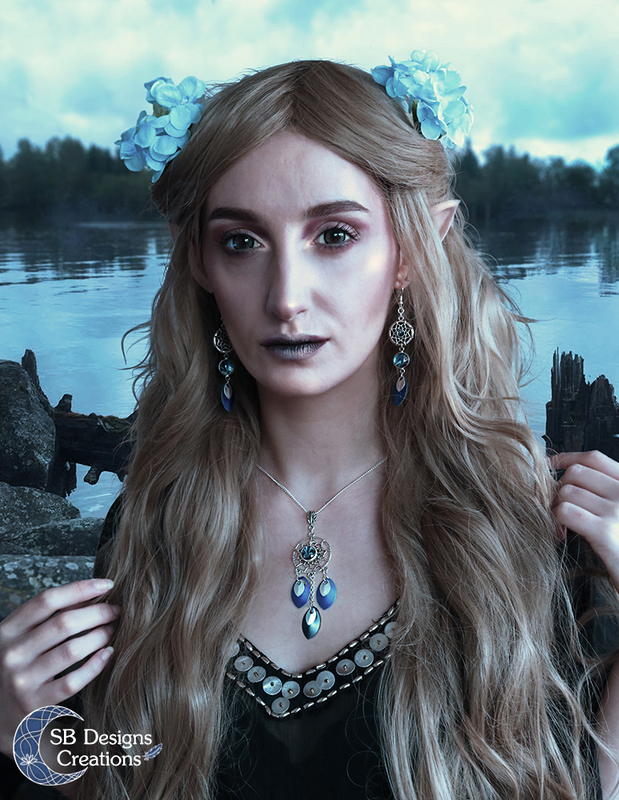 Posted in Jewelry, Lookbooks, Products, Projects, SB Designs Creations and tagged Arian's Grace, dreams of the dragon, fantasy jewelry, Joy Vegaart, Lookbook, sb designs creations, Witches Innocence.